Best demonstrate your listing locations with powerful IDX Broker Platinum System-Wide Map Tools! IDX Broker Platinum allows you to quickly calibrate your maps and add to the pages you want. Define the center point and manage property map locations by imputing an address. Set your map to default as satellite, street view or a hybrid of the two. Predefine your default settings to show the property type, number of bedrooms and bathrooms, etc. Our Platinum solution lets your visitors search for properties using a dynamic map tool instead of traditional search forms. You have total control to make the viewable map the best size for your pages using custom CSS. Visitors can even use the drag and select tool within the IDX map to go directly to a specific area of interest. All search options are dynamic on this feature so if users select a different price range or number of bedrooms, the map will automatically show active listings in that area that meet the specific criteria. Combined with our Custom Links Generator, you can create an unlimited number of Map Search Pages. This is great for websites with a lot of community or subdivision focused pages. 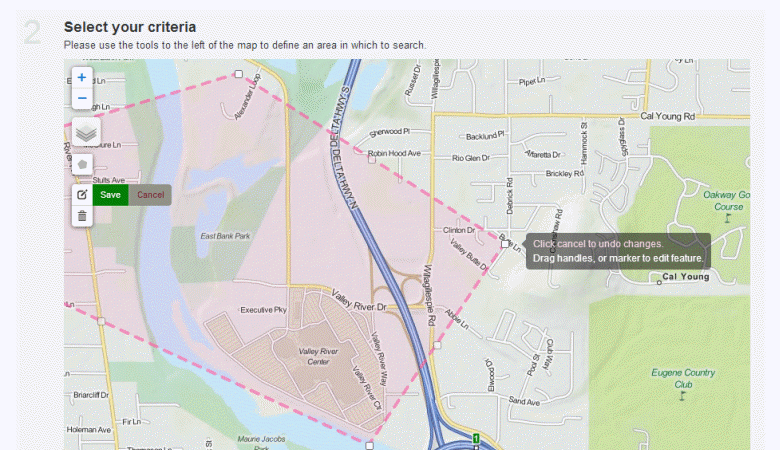 Send users to a specific area on the map and let them search using the visual search tools. Generate search links and widgets using the map-based polygon tool in IDX Broker Platinum. Use your cursor to outline a specific search region and ensure all listings located in that geocodable area are included in the results! Zoom in further to fine-tune the dimensions to get as detailed as needed. Use this tool to create links for highly desirable neighborhoods and areas for your target market but are not defined by your Multiple Listing Service. Then leverage this tool to boost SEO by providing search-friendly titles, tags and keywords so homebuyers will find you first when searching for homes on popular search engines like Google or Bing. Platinum's map display uses cluster pins to show more listings, faster in one place! Cluster pins respond to your zoom level to appear if there are two or more listings within a preset radius. This feature also includes Spiderfy for addresses with multiple properties listed such as condominiums, apartment/office buildings, duplexes and more. Better visual organization on all your maps and map search widgets! Zoom in to see pins with many listings break apart into more pins with fewer listings. Display up to 500 listings! IDX Broker Platinum lets you easily set the map location for your featured properties details pages. 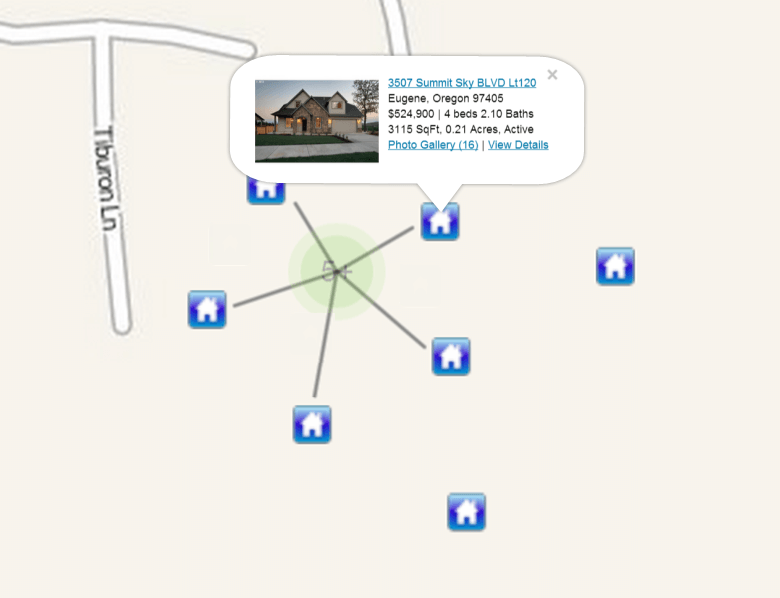 Give visitors a way to view the map for any property on your IDX site. Include a Map Location Button on every property details page so that viewers can explore the streets and terrain surrounding the listings. 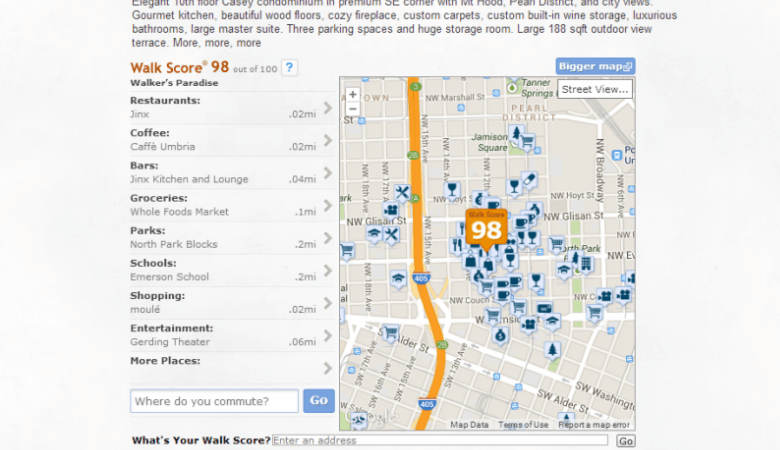 Include Walk Score Maps so viewers can see schools, parks, restaurants, shopping, etc. all within walking distance from each listing.